Nottingham will shortly get its third exit game! 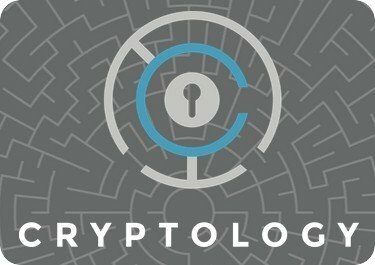 Opening on the 8th of June, Cryptology will be situated in the city centre, between the Old Market and Lace Market tram stops. Locals will apparently know its location as “thirty seconds from the Left Lion” (oh, that explains it) – another way of putting it is “just down the road from the Five Guys“. The location will be opening with two exit games, both of which take teams of two to five players and have time limits of an hour. If your heart races more for historical scenarios than modern-day ones, perhaps The Crypt is more for you. “Pharaoh Rameses has sent you and your peers to The Crypt where you will starve. Some of his minions are sympathisers and have given you the means to escape. Can you and your team unshackle and free yourselves before the guard comes to make their first inspection?” It is not yet clear how literally the word “unshackle” should be taken, but anything is possible! As well as featuring two exit games, the site is also set to host Detective City Tours for groups. Here you can “Discover a different side of Nottingham with a Detective City Tour. Answer riddles, solve puzzles, track locations, map out the crime: discover Nottingham’s secrets. An interactive, clue-solving mystery based in and around Nottingham city centre. The tour will take between 2-3 hours to complete. Fancy yourself as Sherlock Holmes?” The link between exit games and detective tours has always seemed like an intuitive one to this site; Bath Escape have done something similar and it seems like a tie-up that would have a good crossover. The exit games are charged at £40/team to £75/team depending on team size, the detective tours are a flat fee of £30/team. Lots more fun to be had in an increasingly busy city!